Spring is that time of year when the weather starts allowing us to get back to our outdoor activities. A lot of us include herb gardening in those activities and late Winter / early Spring is the ideal time to start your herb garden so you can reap its rewards throughout the Summer months. But are we limited to just those few months to enjoy our own fresh herbs? Not necessarily since most herbs can be grown in containers and can be brought indoors when the weather turns cold and inclement. No need to give up your home grown flavor for cooking. In fact, by bringing them indoors, you can add the fresh aroma of living plants into your home. The climate is controlled for easier growing as well. With a little care, you don’t have to give up fresh savory taste just because old man winter comes calling. If you don’t already have herbs planted in containers to bring inside for winter, here are a couple of ways to grow an indoor herb garden. One is to set aside a small area in your home, then buy seeds, containers, organic soil, and for best results, a grow light or two. Fill the containers 3/4 full with soil, plant the seeds as directed on the seed package. Water regularly, but be careful not to over water. Set the grow light(s), or at minimum a fluorescent light, to be on at least 6-8 hours a day and withing a couple of weeks you should start seeing the plants sprouting. After a few more weeks, or until they get about 4 inches high, the plants will be ready for use in your kitchen. 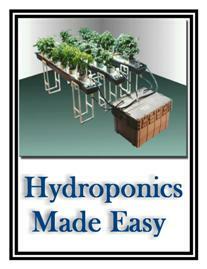 Another method that is gaining in popularity is hydroponics. If you have the patience and know how, you can build your own hydroponic unit, or an even easier way is to purchase one of the many tabletop hydroponic units on the market today. The most popular being the Aerogarden which comes in many varieties of plant options. Either way you will be assured of fresh herbs for all your winter dishes, and that makes it worth it.